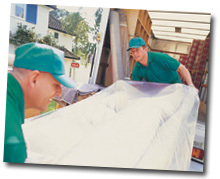 Operating for over 35 years, NMS Removals specialise in local, UK and European removals. Our experienced and professional moving team are council-approved and fully insured, and will provide an efficient service at competitive rates. If you have been shopping and have purchased items that are too big for your own vehicle, then at NMS Removals we will be delighted to offer our home removals service to you. We are also specialists in the safe and careful moving of pianos. We offer a full packing service, with female packers available on request. Free packaging is provided as a gesture of goodwill. All of our packing is undertaken using the relevant materials, such as cardboard or bubble wrap, and transported using boxes or crates. We use the most appropriate method to protect our customer’s objects, regardless of their size or condition. We provide a 24/7 service, 365 days of year, even on bank holidays. And don’t forget, NMS Removals have Public Liability Insurance, which means if any damage should occur to your property then we are fully covered for this liability. We strive to make the task of moving as simple and stress less as we possibly can! If you are looking to move home or office and need assistance, please do not hesitate to contact the team here at NMS Removals. NMS Removals also provide long and short-term containerised storage, from our secure container storage depot, which is highly secure and clean, ensuring that our customers can trust their objects are in safe hands. Our team of staff are fully trained to handle all delicate or oversized objects, and no job is too small or too large for us, whether it’s commercial or domestic. 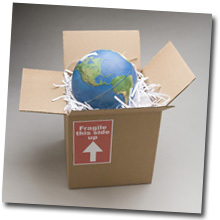 We can provide free boxes for storage and removals!